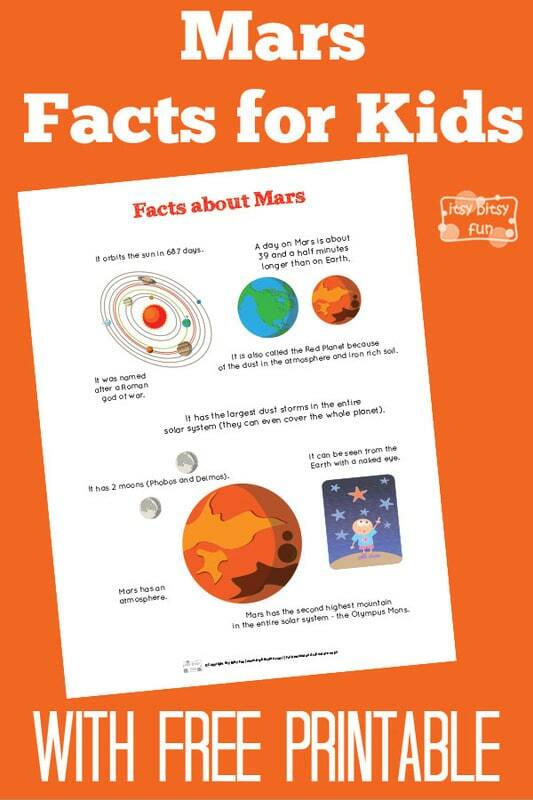 There are so many interesting facts about planet Mars. 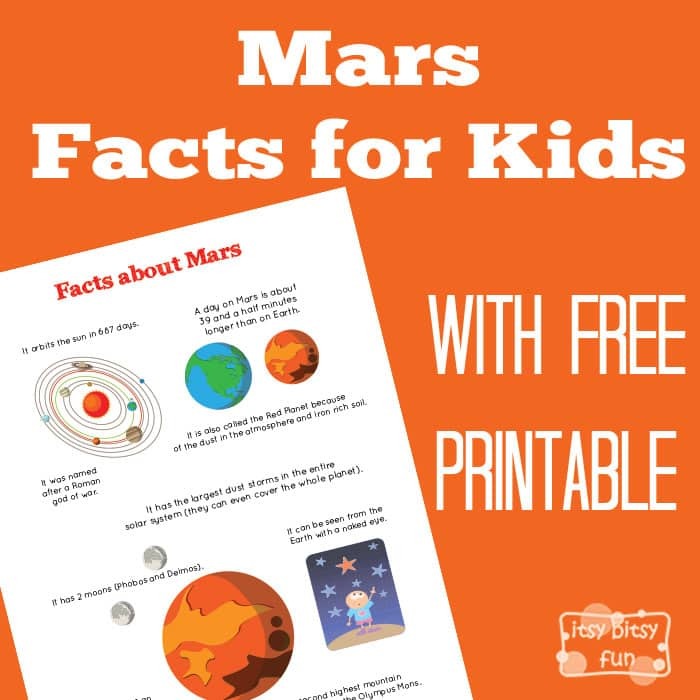 Let’s learn with facts about Mars for kids! This is a planet I wasn’t all that keen on as a kid – apparently there were Martians there and from all the horror movies me and my neighbour secretly watched I was positive they were up to no good. I remember checking the nigh sky for a long time just in case Martians would come visit haha. Let’s learn something the red planet shall we? It orbits the sun in 687 days. A day on Mars is about 39 and a half minutes longer than on Earth. It is also called the Red Planet because of the dust in the atmosphere and iron rich soil. It was named after a Roman god of war. It has the largest dust storms in the entire solar system (they can even cover the whole planet). Mars has the second highest mountain in the entire solar system – the Olympus Mons. It can be seen from the Earth with a naked eye. It has 2 moons (Phobos and Deimos).